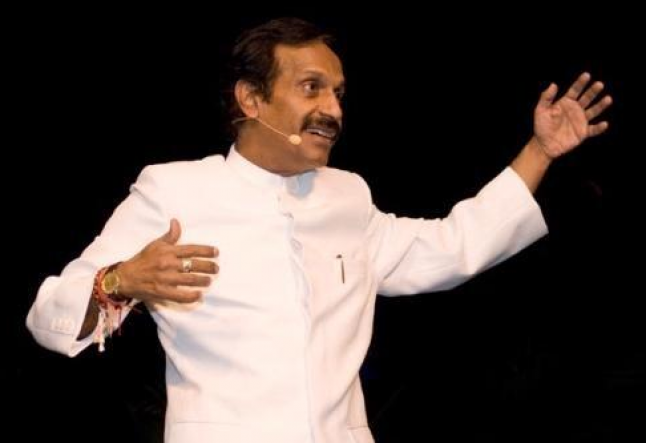 Dr Pankaj Naram, Ayurved, Vaidya Ratna/Ayurvedacharya, M.D., PhD, D.Sc., is a pioneer in Ayurvedic treatments and pulse diagnosis, two notable time-tested gems of alternative medicine. In 1996, Naram gained worldwide recognition, honored as the "Most Admired Man of the Decade," for outstanding achievements in Ayurvedic medicine and pulse diagnosis by the American Biographical Institute of Raleigh Durham, North Carolina. 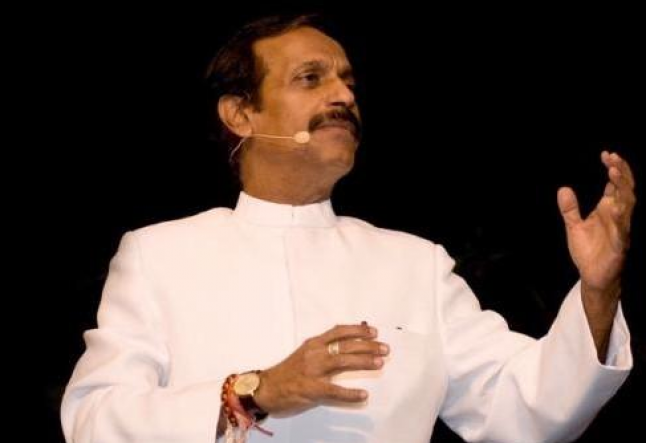 This once self-described balding, poor-sighted, borderline diabetic-journalist evolved to become a "Guru Parampara," that is, a living lineage of experience and knowledge as an Ayurvedic practitioner. 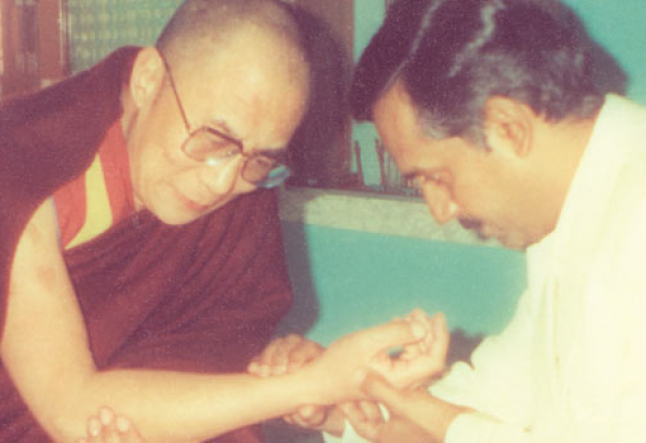 Dr Naram sees up to 400 patients a day listing His Holiness, the Dalai Lama, the late Mother Theresa and Hollywood celebrities. Naram travels with a staff of doctors (including his wife) and nutritional consultants to clinics located in Canada, England, Germany, Holland, India, Italy, Switzerland and the U.S., treating addictions, anxiety, arthritis, cancer, chronic fatigue, depression, diabetes, HIV/AIDS, high blood pressure, infertility, gastrointestinal ailments, skin and sinus disorders. According to Naram, an ailment is caused by an imbalance within the body’s main components known as "doshas." Doshas include "vata" (wind or air elements responsible for movement), "pitta" (fire, bile, heat energy influenced by air), "kapha" (combination of earth and water), "kaph"(mucous and lubrication) and "aam" (toxic mucous). Determined at the moment of conception, humans possess each element, with an abundance of one or a dominant combination of two. Vata’s link air and ether, pitta’s bridge fire and air, and kapha’s integrate earth and water. Ayurvedic medicine and pulse diagnosis views the totality of the patient and their energetic relationship to the world.Editor: What is the history of Ayurvedic medicine?Dr. Naram: Ayurveda is a Sanskrit word that means the "science of life." Ayurvedic medicine is a 6000 year-old holistic science from India that teaches Sukhaayu – the art of living 100 years full of energy, enthusiasm, and tranquility. Lord Dhanvantri, the Lord of the Rishis (seers/holy men) created Ayurveda as a lifestyle for humans, animals and plants. This existence was ordained through spiritual Veda teachings including the Siddha Ved, a 2000 year-old Sanskrit and Tibetan text of stories and herbal formulas entrusted to my care by a Tibetan monk. Lucia Viti: Where did you learn pulse reading? LV: What are the instruments of Ayurvedic medicine? Dr. Naram: There are six instruments or methods of Ayurveda, diet; herbal medication; detoxification through Ayurvedic ways; home remedies such as turmeric, black pepper and spices; lifestyle; and marma chikitsa. LV: Explain the components of pulse diagnosis and marma chikitsa? Dr. Naram: A person’s pulse tells a story of totality for the cause of ailment and disease, including the analysis of one’s mental state. Naadi (pulse diagnosis) utilizes 350 pulse combinations. Marma chikitsa (balancing points on the body that block energy) works with 108 pulse points to release blocked energy channels to facilitate physical, mental and emotional well being. LV: How is pulse reading accomplished? Dr. Naram: Pulse reading depends on the count, rhythms, speed, beat and graduation of the pulse. It accurately ascertains three-dimensions, mind, body and spirit for the transformation to enjoy a healthy, energetic life. This includes all life - Ayurvedic medicine not only treats people, but plants, dogs, cats, pythons, tigers, even elephants! LV: Please detail herbal medication and detoxification through Ayurvedic ways. Dr. Naram: Treatment gears to cure by addressing the ailment at its root. Diet and detoxification through Shamana (Ayurvedic medicines prepared in factories in Palghar and Malad, India, with herbs from the Himalayas and mountains of India and Napal) run parallel to Shodanam, a cleansing and rejuvenation process of Panchakarma. Panchakarma includes Vaman (diet); Virechan (purging), Basti (toxin absorption), Nasya (cleansing by respiration) and Raktamokshum (blood cleansing). Dr. Naram: It’s simple really. A complete purging and cleansing process becomes your body’s annual maintenance contract for keeping chronic problems at bay, including stress. At our Ayushakti (clinic) in Mumbai, we treat stress with a swedhan (a hot compress of herb powder), steam baths and oil massages, and teach the art of meditation, therapeutic yoga and proper breathing. LV: What is Ayurvedic food? Dr. Naram: Vegetarian food, medicinal spices and herbs. Based on Ayurvedic principles, anything that causes heat or toxic mucous in the body is avoided. Certain harmful food combinations (milk and milk products with fruit or fish), refined flour, oil, wheat, tomatoes, lime and tamarind are also shunned. LV: Dr Naram, what are your future goals? Dr. Naram: I promised Swami Ramdas that I would train 1000 physician’s worldwide, free-of-charge, in Ayurvedic medicine before I die. Ayurvedic doctors bear three qualities: focus, awareness and service. It’s my service to humanity to bring Ayurveda to every home and transform people’s lives.